It's quickly becoming a more reasonable hope that we might find ourselves with a new Premier League champion at the end of the season. Seeing as only five separate teams have ever taken home the title, it seemed fitting to provide some history about the teams that have won the title. In 1992, the Premier League replaced the Football League First Division as the top flight of English football. The modern-day Premier League has been dominated by the same crew of six or so clubs since the turn of the millennium. Even among those, only a scant few have ever taken the title. Manchester United has won the league a record 13 times while Chelsea has the second-most titles with four. Behind them are Arsenal with three, Manchester City with two and Blackburn Rovers with one. As with most stories, the best place to start is at the beginning. For our tale, that's the 1992-93 season and the beginning of the continued dominance of Manchester United. The inaugural Premier League season was won by Man Utd. under the management of the legendary Sir Alex Ferguson in what would be the first of an incredible 13 times the club won the league. Combined with its seven titles prior to the formation of the EPL, Manchester United is currently seeking its 21st overall title and its first without the guidance of Sir Alex Ferguson. United continued to lead the league for the next two seasons until 1994-95, when Blackburn won its first and only Premier League title on the back of striker Alan Shearer. 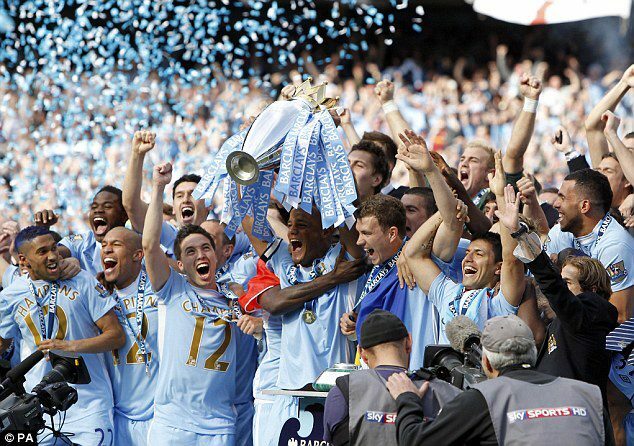 Sadly, this would mark the last time a team outside of the usual suspects won win the league. Blackburn actually now sits in the Football League Championship after hopping back and forth between relegation and promotion since 1998. Given the nature of the way money talks in the Premier League, it has been suggested that a small club like Blackburn may never win the title again. At least, that has been the general attitude until Leicester City came along this year. 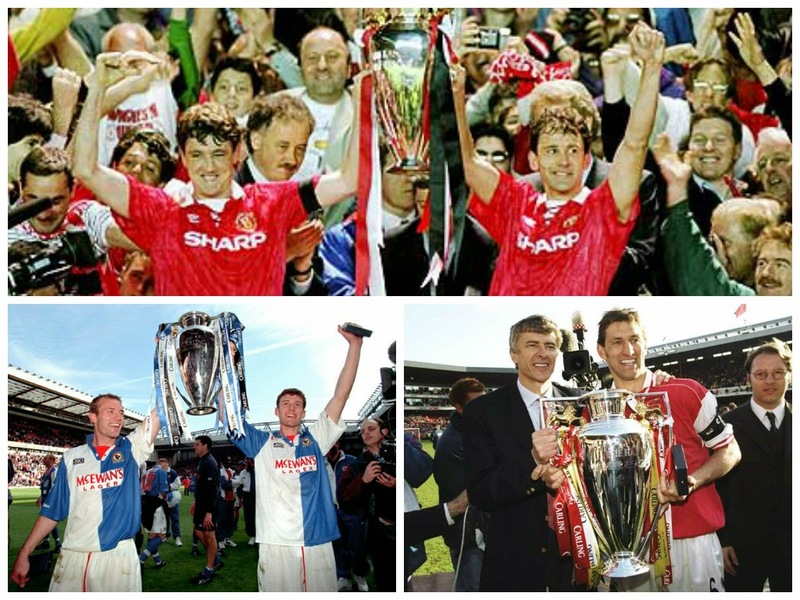 Following Blackburn's win, the league quickly went back into the hands of Manchester United and remained that way until the 1997-1998 season, when Arsenal took home its first Premier League title. It came during the first full season under the new management of Arsène Wenger, who remains in charge to this day and is the longest currently serving manager in English football. The league then fell quickly back into the hands of United before being wrangled away by Arsenal for the second time in 2001.The back-and-forth between the Gunners and the Red Devils continued until the legendary 2003-04 season that saw the Gunners become the only undefeated team in the history of the Premier League. Surprisingly enough, the title did not revert back to Old Trafford in the following season, instead being taken by Chelsea F.C. for the first time in 2004-2005. This achievement came following the club's purchase by Russian billionaire Roman Abramovich and the subsequent cash injection that provided the club with the wherewithal to purchase the players necessary for success. This would be the first of four titles (one the following season, one in 2009, and one last year) for the Blues and the team has managed to firmly cement itself among the top flight's elite. A new face behind the Premier League trophy wasn't seen until the 2011-2012 season in which Manchester City won its first title. 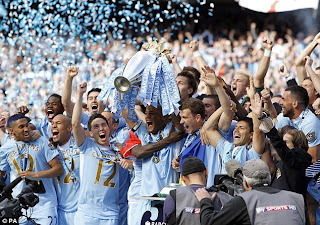 Much like Chelsea, City's title came after being purchased by the Abu Dhabi United Group in 2008, which quickly made City one of the richest football clubs in the world. Now armed with the capital to quickly create a dominating roster consisting of the world's best players, Manchester City has remained a perennial title contender ever since. This year is the first time a team outside of the league's elite clubs has even had a prayer of a chance to win the championship. Leicester City currently sit at the top of the tables and historically, the team leading the league in February has won the title for the past 11 seasons. Should Leicester pull off the impossible, it would fly in the face of the typical Premier League axiom where might (and money) makes right. As a result, most fans of exciting football find themselves cheering on the Foxes to become the sixth Premier League title holders and buck the trend of the same few clubs constantly competing for the trophy.